Power sensors on the crank arm measure your output (aka your SWERVE score). 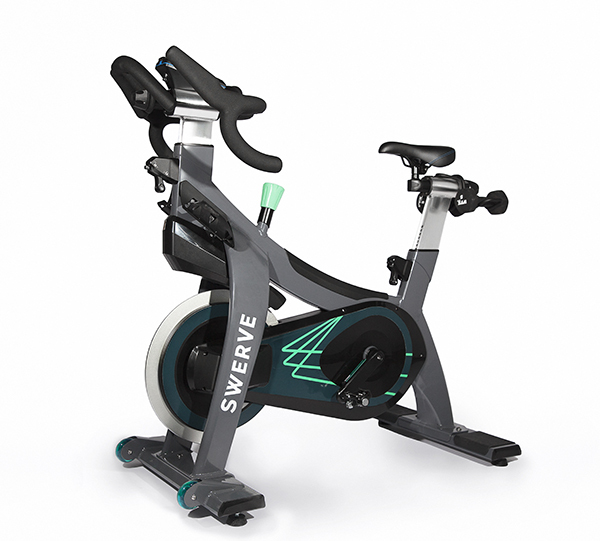 Perfectly accurate SWERVE stats = consistency on every bike, in every studio. Simplified and beautified, the new console gives you all the information you need, crystal clear. Every knob and lever has been optimized to simplify setup and lock your bike into place, keeping you safe and secure all ride long. Out with the chain, in with a durable belt that gives you that smooth road feel. With the new shape of our handlebars, both outdoor & indoor riders will feel at right home.